Hertfordshire’s Matt Wallace won a four-man play-off to capture his third European Tour title of the season at the Made in Denmark tournament. 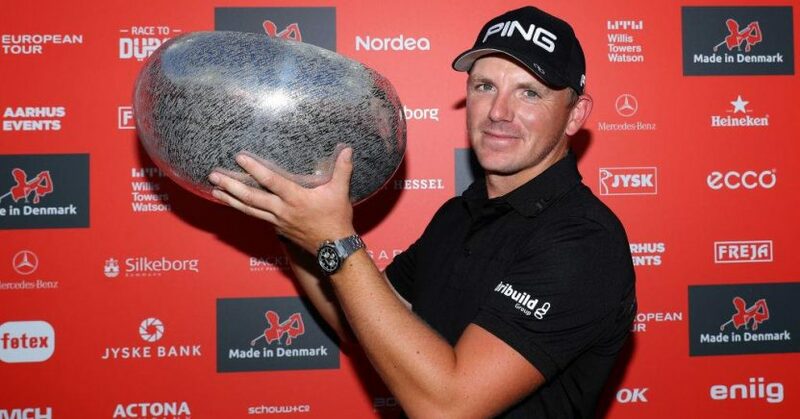 The Moor Park man birdied five of his last six holes at Silkeborg Ry Golf Club to close with a 67 to get to 19 under alongside Steven Brown, Jonathan Thomson and Lee Westwood, before birdies on both extra holes earned him a stunning fourth career victory on Europe’s top tour. Brown and Wallace both put their approaches inside six feet on the first play-off hole for a pair of birdies, before Wallace went even closer on the next, with Brown only able to make a par. The win, which came with a first prize of €250,000, moved Wallace up to 17 in the Race to Dubai rankings and to 52 in world rankings – the first time he has broken into the top 60. While the European captain’s wildcard choices are to be announced on Wednesday (Sept 5), the battle for the final automatic qualifying place in Paris was won by Denmark’s Thorbjorn Olesen, whose 11-under-par total was good enough to hold off the challenge of Matt Fitzpatrick, and the Dane will now make his Ryder Cup debut at the end of the month alongside Tommy Fleetwood, Tyrrell Hatton, Rory McIlroy, Francesco Molinari, Alex Noren, Jon Rahm and Justin Rose.